Now CPBank got the winners of Download to Win as the list below, they are our value clients from every city and province. The winner of Giant Bikcycle from Obek Kaom Branch. 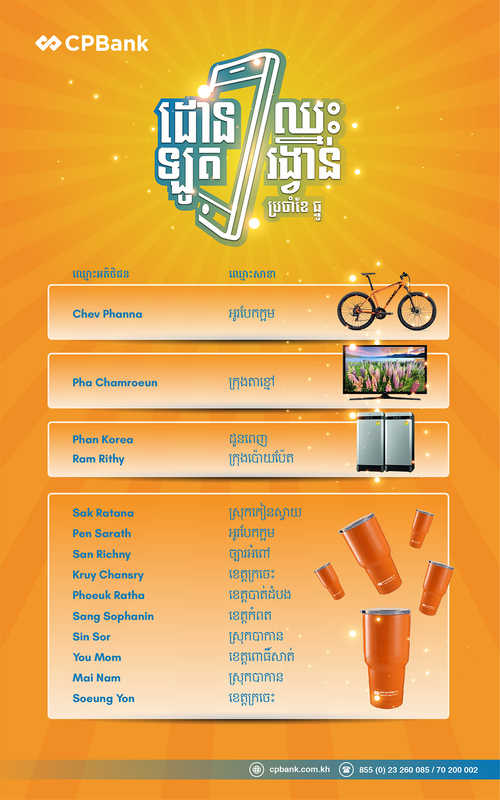 The winner of HD TV 32″ from Takhmau Branch. 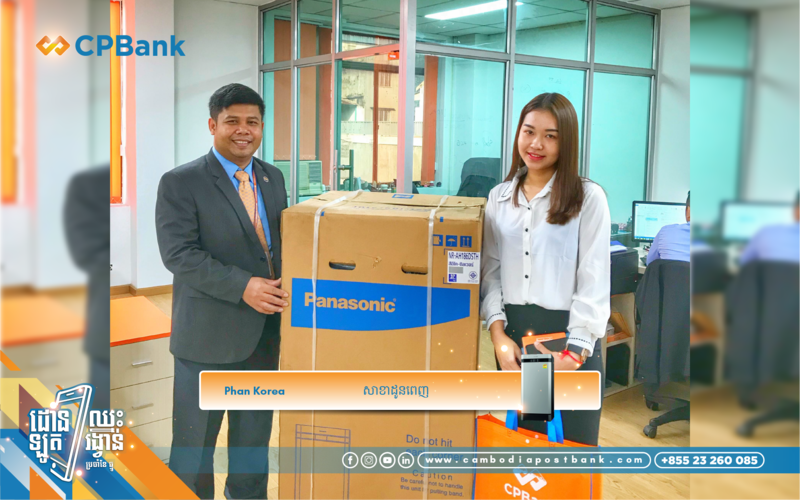 The winner of Refrigerator from Daun Penh Branch. Wow! 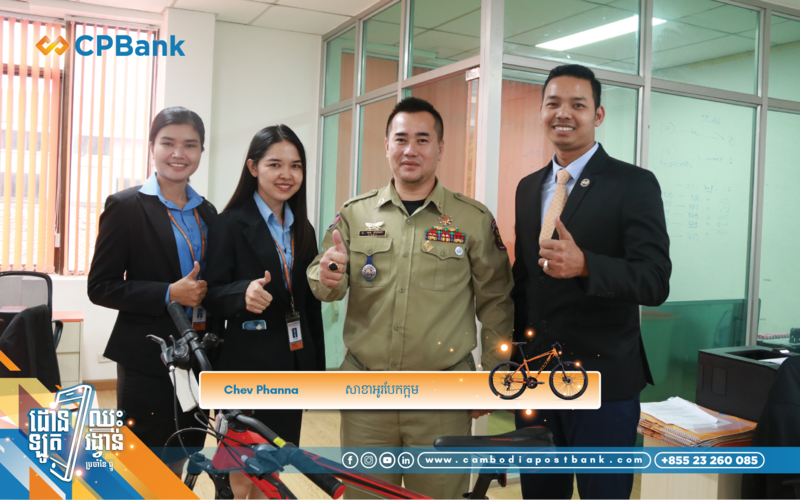 download to win Bike-cycle, LED TV 32″, Refrigerator, CPBank Mug and 3D Movie Coupon from CPBank Mobile Banking in every month. 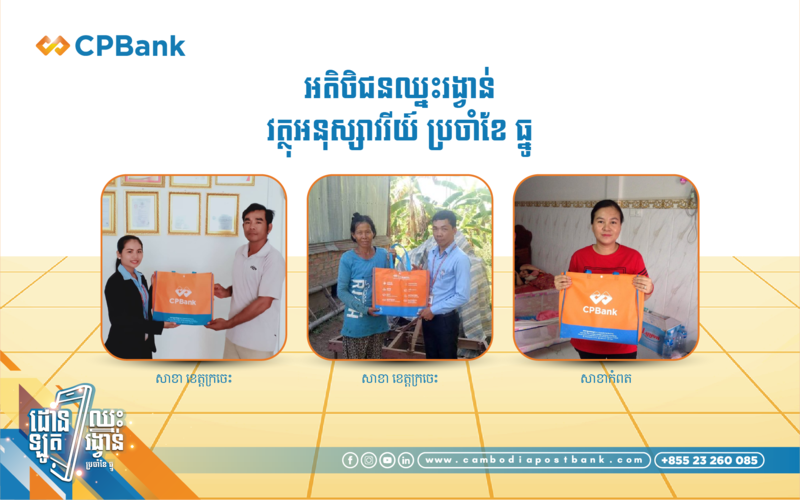 The winners will announce at the end of month through CPBank’s official Facebook page by lucky draw selection. By foreseeing the number of mobile subscribers compared to total population has been aggressively increasing, CPBank developed a convenience, faster and more reliable mobile banking service to meet customer needs. Everyone are convenience and faster to request a Mobile Banking Service via your smart phone.